The Coffee Festival on Saturday, Jan. 7 was packed with 14 different brewing companies. Each shop showcased between three to four of their favorite blends at their designated booths. 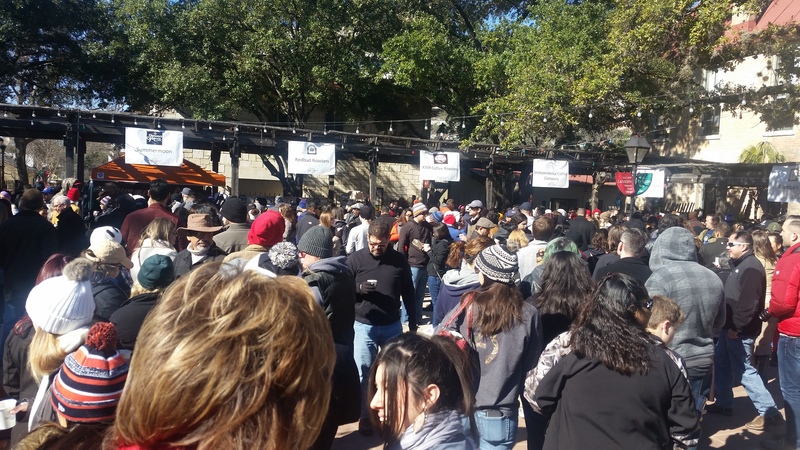 San Antonians were shaking not only from the 35-degree weather, but buzzing from the coffee they sipped as they waited in line for their next cup of joe. Participants were able to taste four flights of coffee for $5. 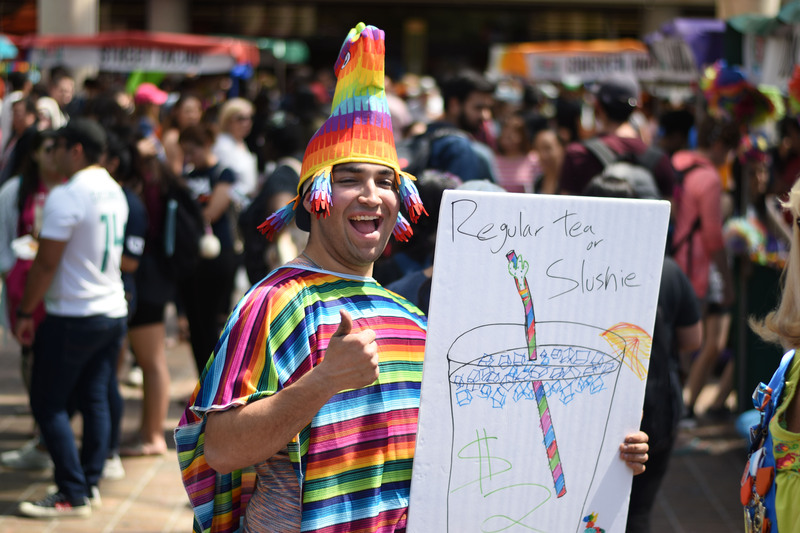 While the shops and companies brewed and served their coffee to the public, demonstrations took place inside the O’Neil Ford Plaza. These included “Perfecting Your Press” taught by Nancy Maladecki from TAMPZ Coffee by Design; “Coffee Cocktails” by Bryce Jeter from Paramour; and “Honduran Coffee Farming” by Mario Garcia from Mandarino’s Coffee Farm. Coffee lovers enjoyed music and entertainment while perusing around the local vendor tents or waiting in line for their next brew. 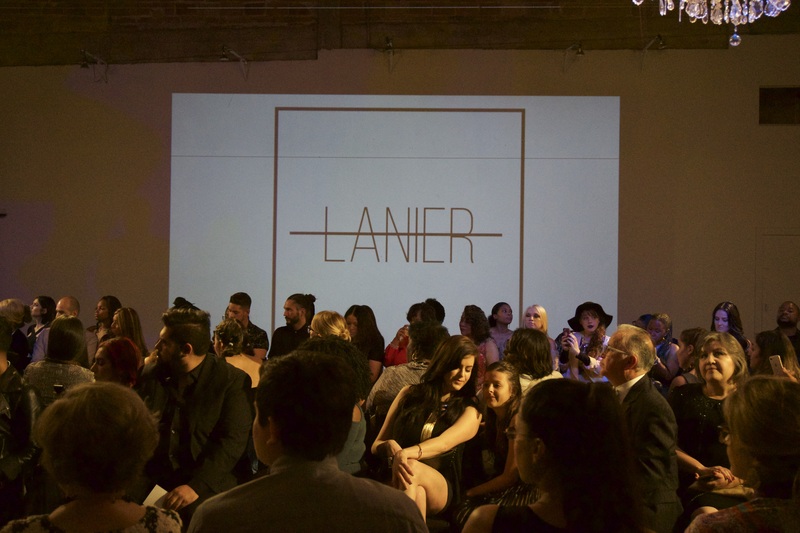 Entertainment included Armando Martinez, Noah Peterson, The Native Texans, MC & The Mystix and West Kings Highway. An art mural titled “What Color is your Bean?” asked visitors what they loved about coffee and art activities were presented by Spare Parts, a non-profit arts service organization. Pinot’s Palette hosted a Coffee Painting Party and San Antonio Public Library gathered e-books, videos and audiobooks related to coffee. The festival also offered coffee cocktails at the concession stand in Maverick Plaza for the adults who wanted to add a little kick to their coffee. People could either order one out of the three cocktails served or they could add a shot to their own cup of coffee. One of the coffee shops that participated was San Antonio’s White Elephant Coffee Co., that offered brews from Kenya, Guatemala and Indonesia. The Ethiopia roast, grown by the country’s only woman producer in the Amaro Mountains, won a Silver Medal at the Compak Golden Bean Awards. Not all of the shops that participated were strictly for coffee. San Antonio’s local tea company, Grandpa’s Tea, offered teas such as Grandma’s Garden, Moroccan Mint and Earl Grey De La Crème. Haikey has been in business for five years and has studied tea his entire life. Grandpa’s Tea ships in tea leaves from all around the world and blends them in San Antonio to be packaged and sold to customers. Be sure to keep San Antonio’s Coffee Festival in your plans for next year and remember to support your local coffee and tea companies.